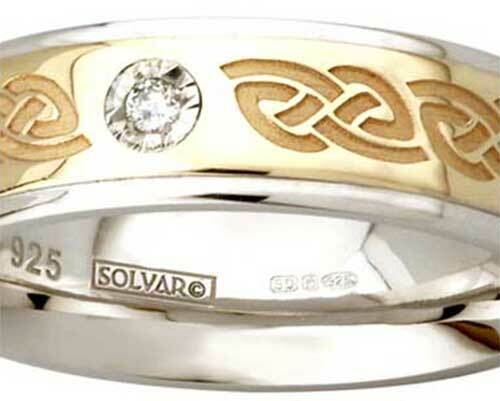 Sterling silver Celtic wedding bands are available for both women and men and include several with gold accenting. 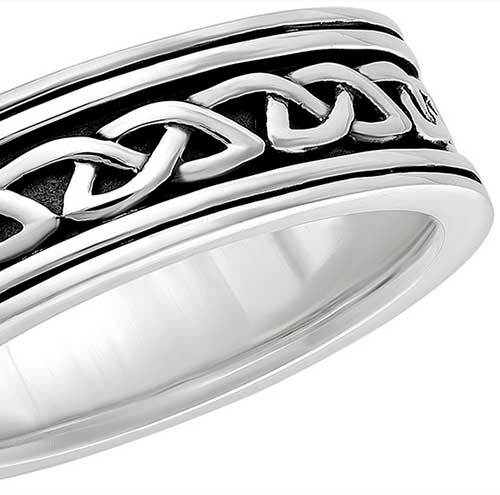 Sterling silver Celtic wedding bands are offered with solid and filigree styles along with several that feature gold accenting or oxidized accents. 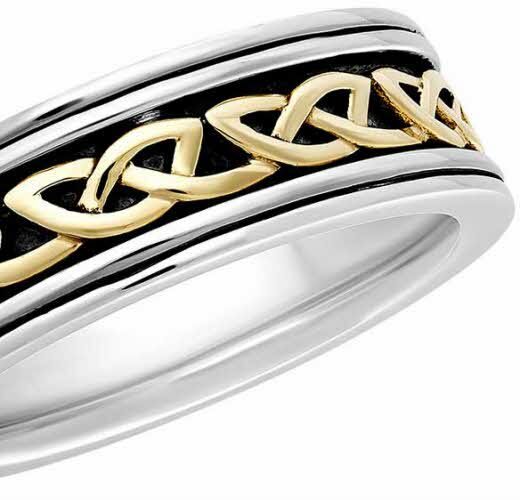 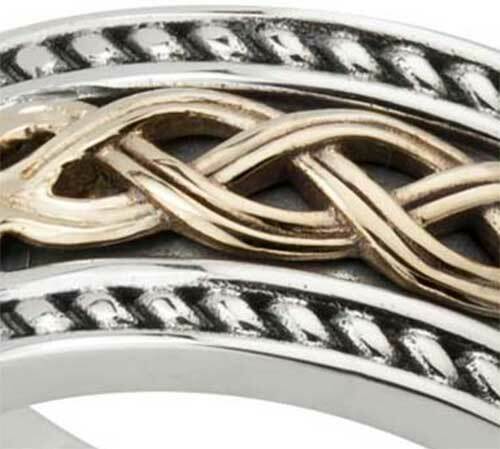 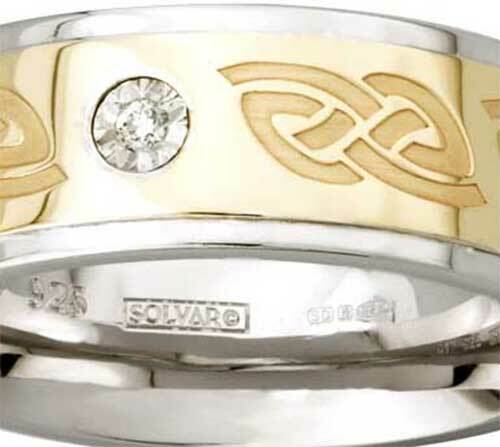 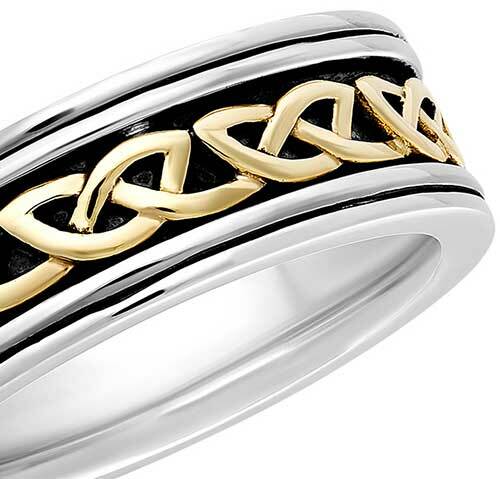 A double knot on a Celtic wedding ring represents the union of two lives while the Christian symbolism of the Trinity knot, with its unending lines, symbolizes the Holy Trinity. 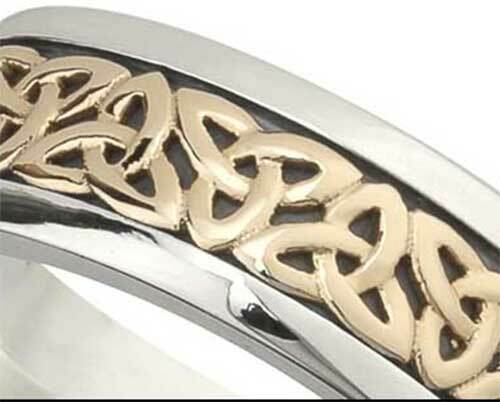 The Irish Gift House additional features the Celtic warrior shield design that is adapted from the 9th Century AD Ardagh Chalice. 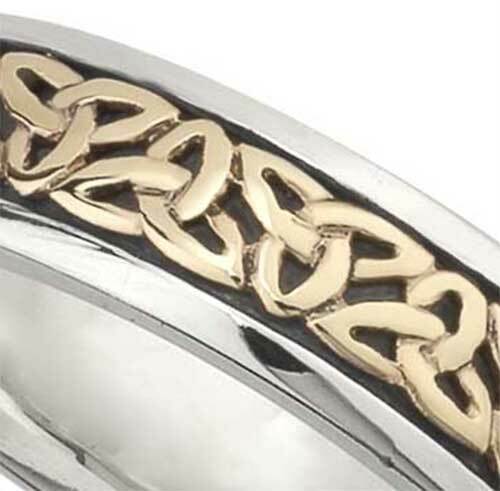 Sterling silver Celtic wedding band features embossed gold knot-work along with oxidized accenting; this band would be an ideal size for a woman. 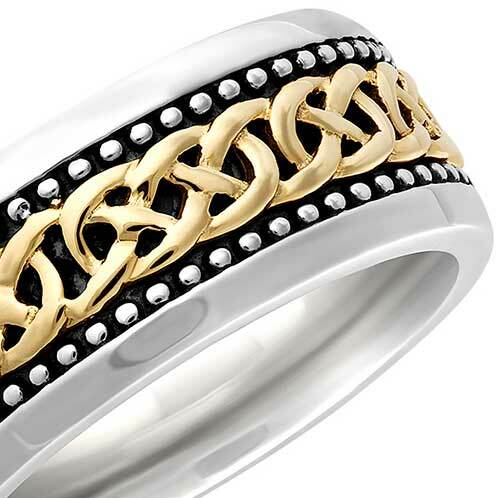 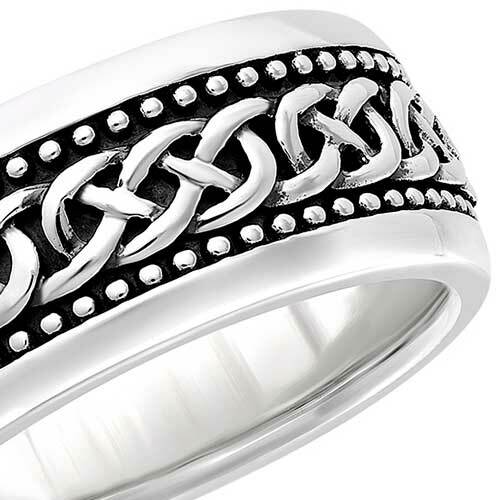 Celtic wedding band is crafted of heavy and thick sterling silver that features an oxidized motif. 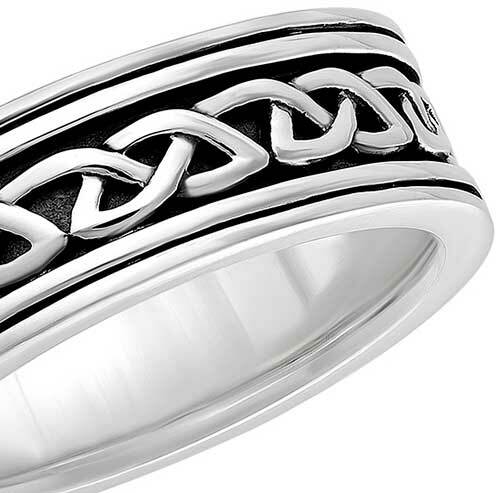 Sterling silver Celtic wedding band features embossed knot-work along with oxidized accenting; it would be an ideal wedding band for a man. 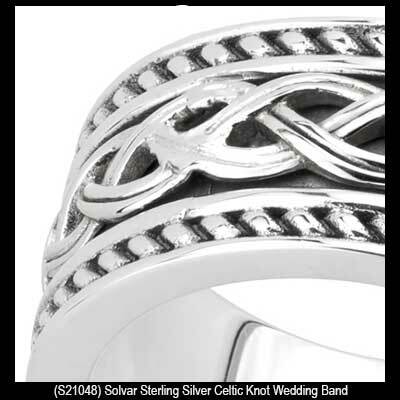 Sterling silver Celtic wedding band features embossed knot-work along with oxidized accenting; this band would be an ideal size for a woman. 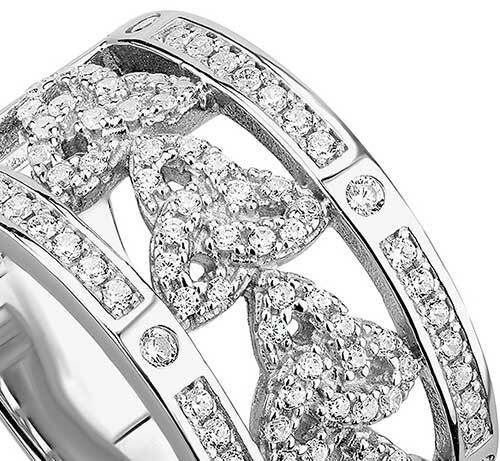 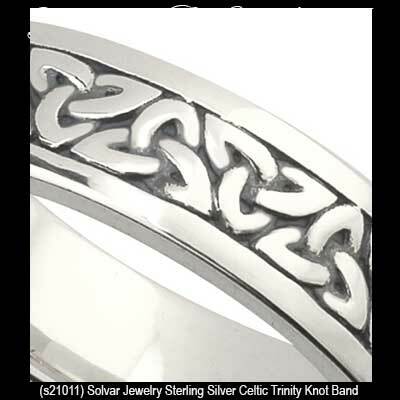 Sterling silver Celtic wedding band features a continuous row of Trinity knots that are accented with CZ stones. 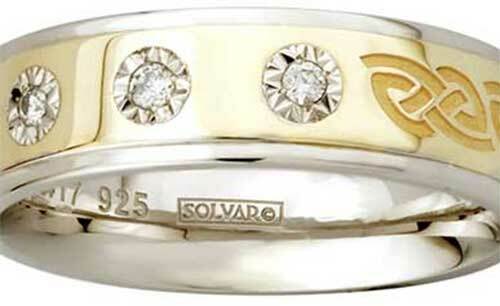 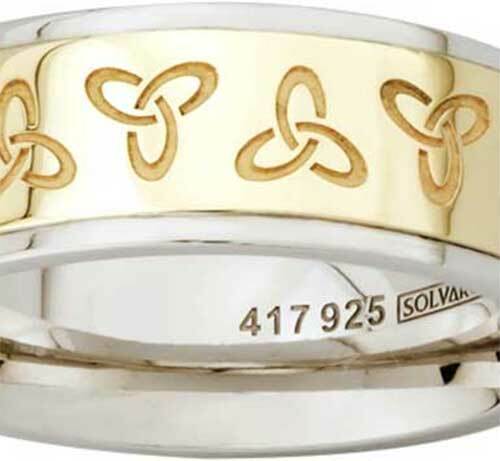 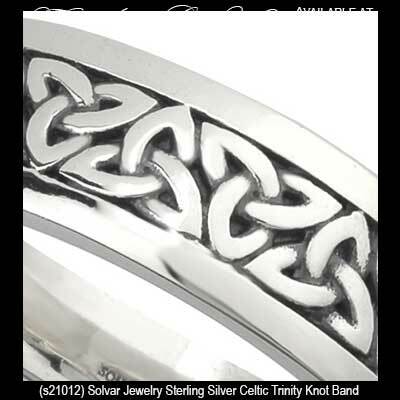 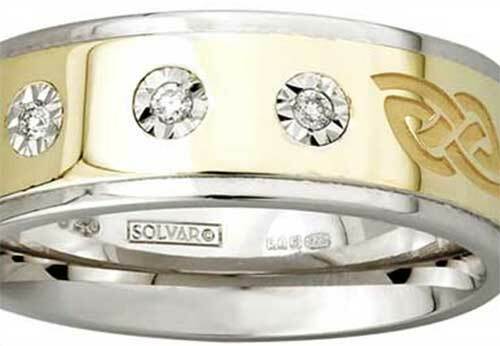 The Irish Gift House features sterling silver Celtic wedding bands from Solvar along with TJH Jewelry. 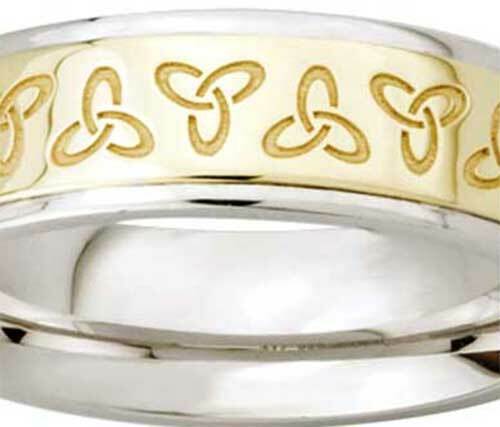 We also have a grand selection of gold designs that you will find in our Trinity wedding bands and our Celtic knot wedding band sections.